Spintires™ is an Intel® award winning off-road driving experience designed to challenge the player's driving skill and endurance. Take responsibility of operating large all-terrain vehicles and venture across the rugged landscapes with only a map and compass to guide you. 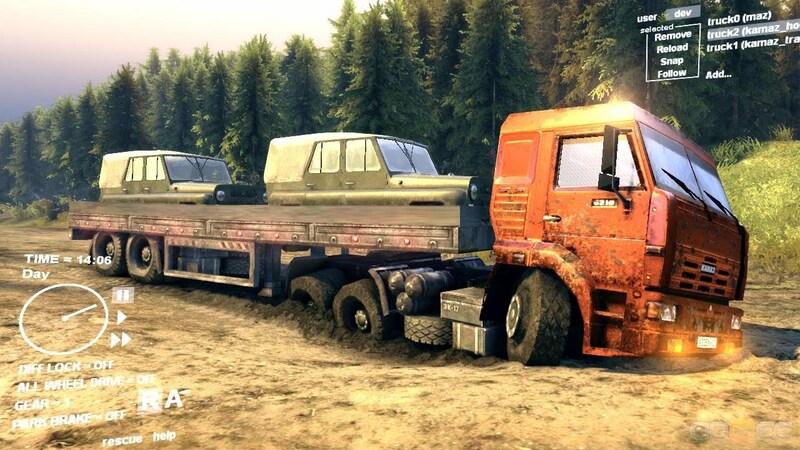 Explore the levels and unlock portions of the map whilst discovering new trucks, fuelling stations, garages and lumber mills.